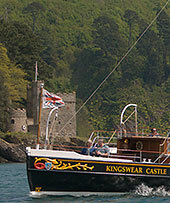 The only operational historic paddle steamers in Great Britain. News about the Society, our two paddle steamers and more. A brief history of the Paddle Steamer Preservation Society. Why you should join the Paddle Steamer Preservation Society. 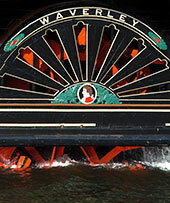 The Paddle Steamer Preservation Society is Britain's longest established, largest and most successful steamship preservation group. 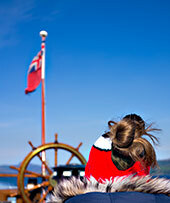 Founded in 1959, we have sailed our ships since 1975. We are a registered charity. Through our associated charitable and non-profit distributing companies, we operate Britain's only two operational historic paddle steamers, both of which have won major heritage awards. Without us, there would no longer be the opportunity to sail on these unique ships and experience the delight of viewing large areas of Britain's beautiful coastline. Ship Ahoy! – Maritime Heritage ExhibitionScottish Maritime MuseumIrvineAnnual display of model steamers, photographs, historic film footage, books, postcards and more. Entry is free. Annual Fund Raising Cruise – Evening Sunset Cruise Round ButeTighnabruaich, Largs & Millport (Keppel)PSPS Scottish Branch annual Evening Fund Raising Cruise aboard Waverley round Bute. 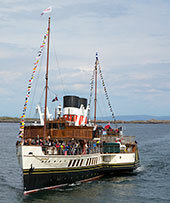 Golden Jubilee Anniversary Cruise to ArdrishaigLocation to be confirmedSave the date... more details to follow. Paddle Steamer Waverley sailing on the Clyde 1978-1982.